 The Old Creamery Trail is just as picturesque as it sounds; traversing through Iowa’s farming communities among cultivated fields and farmland. With plenty of shady, mature trees, this former railroad bed is easy to ride for any level of expertise. Beginning in Vinton and traveling west to Dysart, you’ll pass by Garrison, where the Old Creamery Theatre Company was founded (still going strong in Amana, an hour away). The trail is managed and maintained by a group of volunteers who keep the crushed limestone surface clean and usable for cyclists.